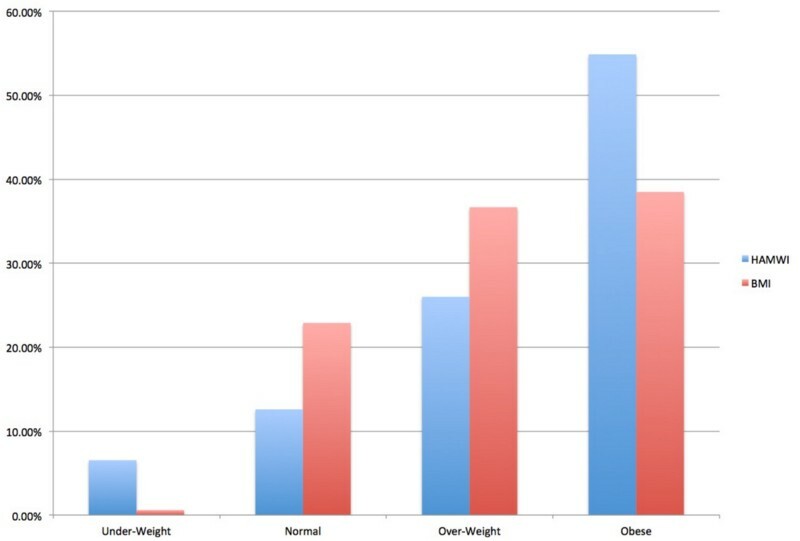 The BMI is a 200-year old formula devised by a Belgian statistician, Adolphe Quetelet, to define the characteristics of a ‘normal man’ and to fit the distribution around the norm for that given male population. The BMI was tailored to a “normal” male circa 1800 in Belgium. What a perfect measurement system for Americans in 2017! Are you a fan of the BMI or are you in the Hamwi camp? Typically, a person doesn’t like the former, has never heard of the latter- yet considers themselves a Wellness Guru anyway. If you are talking bodies, you need measurement. The BMI wasn’t used anywhere until the 1990s. Before then, the Hamwi Formula was law; a female at 5 feet should weigh 100 pounds, add 5 pounds for each additional inch. A male of 5 feet starts at 106 pounds, add 6 pounds for each additional inch. Simple, right? Even in our mathematically challenged America (we’re 27th in the world at math proficiency), anyone can do it. The problem is that we are not only bad at math, we are also very fat and the Hamwi makes us feel bad. 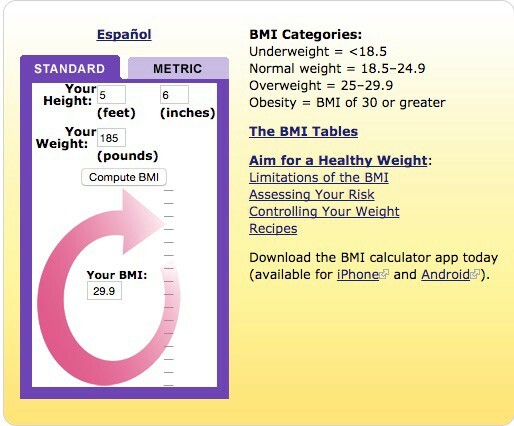 So, hello BMI! Even though BMI is our standard, no one likes it. If you ask people whether it’s a valid measure, they immediately tell you it is no good. Suppose you weigh 325 pounds of muscle and bone and practically no fat. Picture your favorite NFL player — the BMI labels them as obese. This is unthinkable; you are a professional athlete and earn millions to be that BIG. This is the wellness industry’s version of fake news. Why? If you are a female at 5’6” and 185 pounds, your BMI of 29.9 classifies you as only overweight. So rather than being restrictive for the 99.9 percent of the population not in the NFL, it is totally permissive and forgiving. Furthermore, this helps the weight loss industry. It seems counter intuitive, but if you tell a potential client they are obese, they are more likely to waddle away from your diet center and give up. Given how lucrative the diet biz is and how much it has contributed to our economy, it’s time to LIKE the BMI!